Volkswagen Group's share price is finally back above where it was when the diesel-emissions scandal broke some two years ago. Since its lowest point in October 2015, the company has clawed back more than 35 billion euros ($40 billion) in market value. 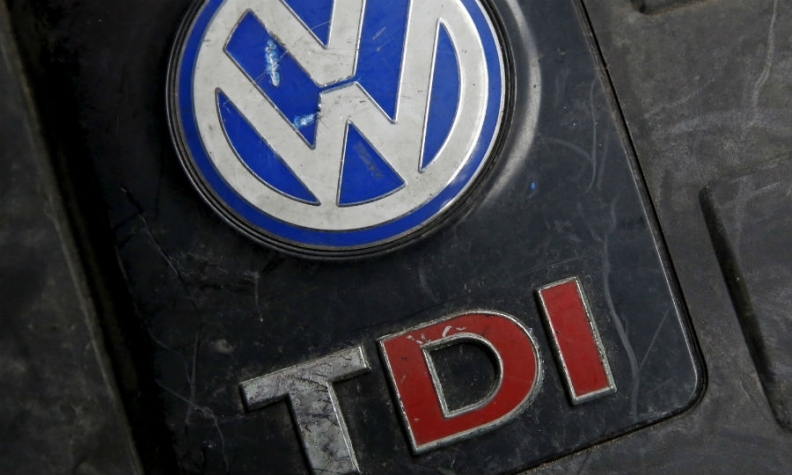 VW has confounded concern the scandal might cripple it and leave its diesel vehicles unsaleable. Its ability to cover the massive cash outflows associated with repairing some 11 million cars has been undeniably impressive. There's a danger that VW's managers, Porsche-Piech family owners and labor representatives draw the conclusion that the automaker is fixed and doesn't need to change. That would be a mistake. Investors will recall that VW's share price had started its decline well before the diesel cheating was uncovered. VW has been fortunate: consumers are buying its vehicles as if diesel manipulation was a virtue, not a crime. Sales increased 2.4 percent this year, with U.S. demand growing at three times that rate, thanks partly to a new line-up of SUVs. Diesel sales are dwindling in Europe, but only slowly. The company is on track to generate 11 billion euros of net income on sales of 230 billion euros this year, according to Bloomberg data. Despite the diesel scandal draining about 17.5 billion euros in cash, VW's automotive division arm still had 25 billion euros in net cash at the end of September. As Bernstein analysts have noted, it's as if the scandal never happened. But if VW hadn't cheated, it might now be sitting on more than 40 billion euros of net cash and in a position to hand large portions of that money back to shareholders. Some of the renewed shareholder interest in VW reflects hopes of an increased dividend. VW was notoriously stingy in this respect, preferring to spend money on plant and research -- even if doing so failed to widen its profit margins. There's some evidence those free-spending ways have ended. Capital expenditure, as well as research and development costs, were slightly lower in the first nine months of this year. A higher dividend would reinforce this new-found spending restraint. VW says it wants to lift the payout ratio to 30 percent, compared to 20 percent last year, but hasn't been precise about when that increase will happen. Some caution here is understandable: VW announced a fresh 2.5 billion-euro hit related to fixing diesel vehicles in September, and more unexpected bills can't be ruled out. Developing electric vehicles will also be costly. In any case, increasing the dividend probably wouldn't transform VW attractiveness to yield-hungry investors. Other carmakers are more generous to their owners: Daimler's payout ratio is already 40 percent. For VW investors, a far more significant move would be a rationalization of the carmaker's disparate set of brands. There's an argument, for example, that Porsche’s market capitalization would be greater than the entire VW group if were given its own listing. Under pressure from labor representatives, VW has dragged its feet on disposals and spin-offs. The unions deemed the low-volume Ducati motorcycle brand too precious to part with. That should be a warning sign. Even if VW's recovery since diesel emissions scandal erupted has been a miracle, the carmaker still needs many more.